– More than 1,200 online casino games from NetEnt, Microgaming, Play n’Go and many more! – $/€/£ 1000 + 200 Free Spins Welcome Bonus Package! Spinit was launched in 2016 and offer an amazing casino experience which guarantee one of the largest and most diverse collection of online casino games available online, great welcome bonus packages, 100% safe and secure gaming and payment environment licensed and regulated by the UK Gambling Commission and the Malta Gaming Authority. Spinit offer more than 1,200 casino games from the top games producers like NetEnt, Microgaming, Play’nGO, NYX Interactive, 1x2Gaming, Aristocrat, BetSoft, Ezugi, IGT, iSoftBet, LeanderGames, Playson, Quickspin, ScientificGames, Evolution Gaming, Thunderkick and many more. This collection of games will ensure that you will be able to play the latest and most popular online casino games, raging from the top video slot machines, classic slots and the highest progressive jackpot slots to table games and a great live casino product where you can get the excitement of playing against live dealers. Spinit also have a very impressive selection of games that are supported on mobile and tablet devices. The player service at Spinit is one of the best and you will be in good hands. The support team is available 24 hours a day and you can contact them by phone, email or use the live chat interface which is easy to locate anywhere on the web site. They also have an extensive FAQ section where you easily can find out how to resolve the most common quires that might occur. Spinit is available in several different languages including English, Finnish, German, Norwegian and Swedish. Spinit is owned and operated by Genesis Global Limited which is a company registered in Malta. They are licensed by the UK Gambling Commission and the Malta Gaming Authority. Spinit Welcome Bonus Package: Get $/€/£ 1000 + 200 Free Spins on Starburst! 1st Deposit: 100% match up to $/€/£200 (which also trigger your 200 free spins)! 2nd Deposit: 50% match up to $/€/£200! 3rd Deposit: 25% match up to $/€/£300! 4th Deposit: 25% match up to $/€/£300! These bonuses are not available if you deposit using Neteller or Moneybookers Skrill. 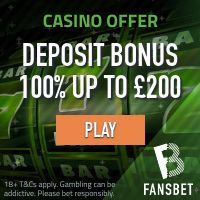 The minimum deposit to qualify for the bonuses is $/€/£20 (200SEK/200NOK). Once you have received your bonus, please note that you need to meet a 40 times wagering requirement within a period of 14 days before your bonus is converted to real money. As a real money player at Spinit, you will be offered a great number of bonus promotions on a regular basis. Some of the bonus promotions available are the Monday Re-load Bonus where you will get a 25% match on your deposit up to $/€/£100 every Monday and the Game of the Week promotion where you will get some free spins on a specific game. So for added bonus value, make sure to keep an eye on your email inbox so you don’t miss out. Entry to the Monthly Prize Draw! Spinit offer a 100% safe and secure payment environment which is guarded by the best SSL encryption systems available. All of the most common payment methods are accepted and these include credit/debit cards, e-wallets, e-vouchers and several regional direct bank transfer solutions. There will not be any problems at all to find a suitable payment method to use at Spinit. Spinit offer a very impressive catalogue of online casino games. In fact, there are more then 1,200 games available at Spinit which speaks for itself. The slotmachines are provided by the most successful games producers including NetEnt, Microgaming, BetSoft, Play n’Go, Aristocrat and many more. Some of the most popular slots at Spnit are Motörhead, Hugo, Poltava Flames of War, Secrets of Atlantis, Jungle Jim El Dorado and When Pigs Fly. Spinit also offer a great collection of progressive jackpot games including Mega Moolah which is the record holder for having paid out the highest ever online jackpot.